Alienware Intel Core i9 Area 51 X299 Rig Is Here! Dell has announced a new addition to their range of Alienware Area 51 systems with the ability for customers to install Intel Core i9 processors. 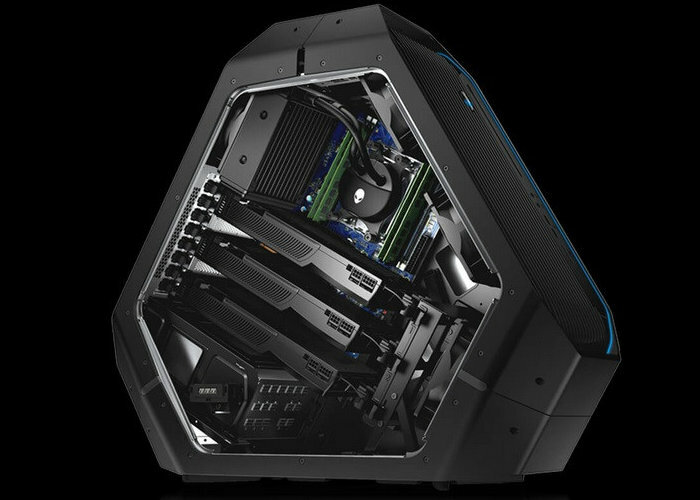 The Alienware Area 51 can now be fitted with a range of different Intel Core X-series processors including Core i7-7800X, i7-7820X, or i9-7900X processors, together with a wide variety of different options to expand memory and storage. Dell offers storage options in the form of a 2TB 7,200RPM HDD or a 256GB, 512GB, or 1TB M.2 PCIe SSD. 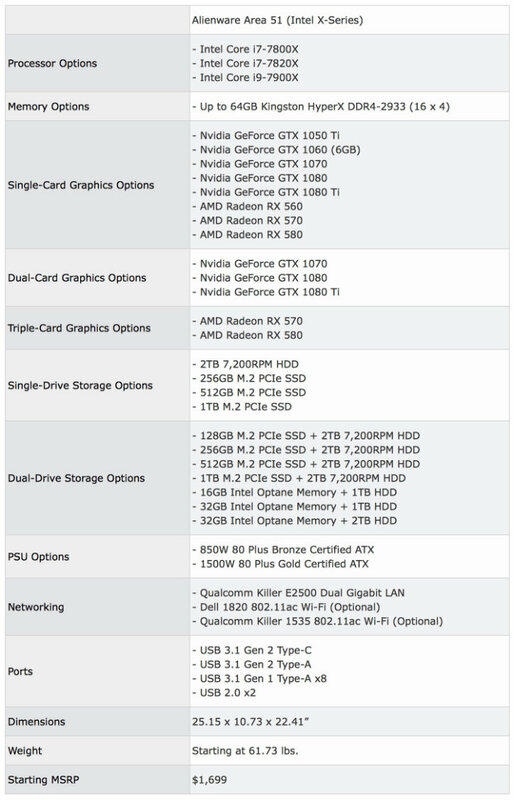 Dual-drive configurations consist of a 2TB HDD and 128GB, 256GB, 512GB, or 1TB M.2 PCIe SSDs. Intel Optane memory is also available in capacities of 16GB and 32GB, with 1TB and 2TB HDD options. Alienware CPU liquid cooling is intended to maintain your CPU temperatures as low as possible at all times. The liquid running through the system absorbs the heat from the CPU as it is pumped across the cold plate. Heated liquid is then pumped through the radiator, which acts as a heat exchanger. heat from the liquid id exhausted outside of the chassis and then cooled liquid is returned to the cold plate. our liquid cooling hardware brings a life expectantcy of 50,000 hours ensuring years of maintenance-free continued performance. The coolant is a mixture of demineralized water and propylene glycol with benefits ranging from anti-freeze, anti-corrosion, and anti-bacterial. Unlike atutomotive anti-freeze, the coolant is safe and environmentally friendly.